I think it actually makes the glitter pop more! I'm not really a fan of matt polishes but this looks great! This is loooovely matte! Need to get a good topcoat myself. 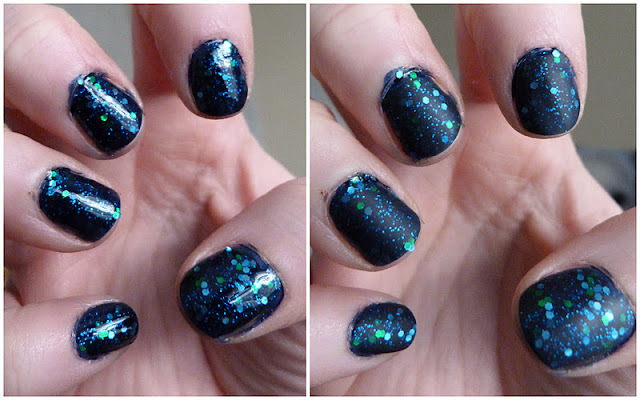 Matte topcoats over glitters are fantastic. Love how they look and this one is very pretty. Although I've found the nail marks quite easily then.